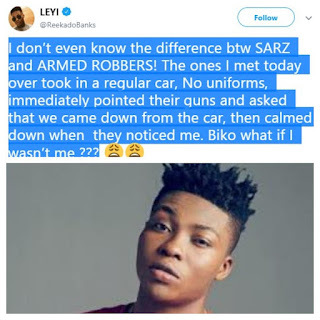 I don't know the distinction btw SARZ and ARMED ROBBERS! The ones I met today finished took in a normal auto, No garbs, promptly pointed their weapons and asked that we descended from the auto, at that point quieted down when they saw me. Biko imagine a scenario where I wasn't me ?.